Ronald David Aucutt has focused his career on federal tax-trusts and estates. TYSONS CORNER, VA, August 30, 2018 — Marquis Who's Who, the world's premier publisher of biographical profiles, is proud to present Ronald David Aucutt, Esq., with the Albert Nelson Marquis Lifetime Achievement Award. An accomplished listee, Mr. Aucutt celebrates many years' experience in his professional network, and has been noted for achievements, leadership qualities, and the credentials and successes he has accrued in his field. As in all Marquis Who's Who biographical volumes, individuals profiled are selected on the basis of current reference value. Factors such as position, noteworthy accomplishments, visibility, and prominence in a field are all taken into account during the selection process. Celebrating his 20th anniversary as partner at McGuireWoods LLP in 2018, Mr. Aucutt has focused his career on federal tax-trusts and estates. Focusing on planning and controversy matters involving the estate, gift and generation-skipping transfer taxes, the income taxation of trusts and estates and the rules regarding tax-exempt organizations and charitable contributions, he has extensive experience in assisting clients with the transfer of wealth from one generation to another, mostly in matters of the orderly and tax-efficient succession of family-owned businesses. Furthermore, Mr. Aucutt advises lawyers and other professionals on tax planning and controversy issues regarding estate planning and charitable giving. Established more than 180 years ago, McGuireWoods is a well-respected full-service law firm with more than 1,100 lawyers in 23 offices. Mr. Aucutt is the chair emeritus of the firm's private wealth services group. 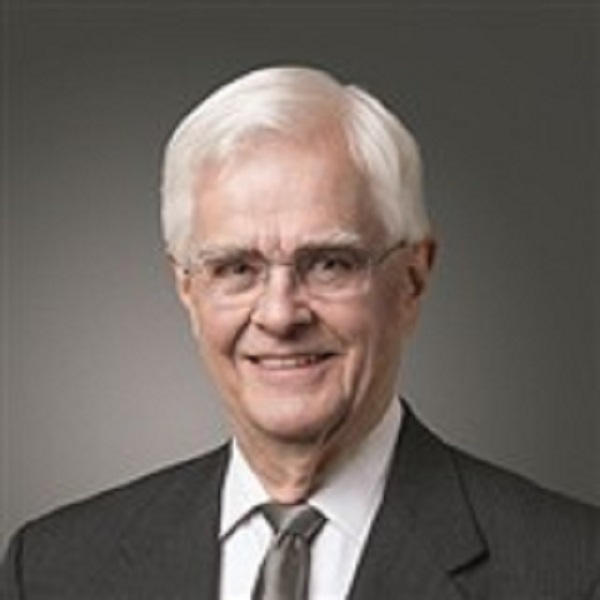 He formerly contributed to Miller & Chevalier in Washington for 23 years, as an associate from 1975 to 1981 and as a partner from 1982 to 1998. Currently serving on the advisory committee for the University of Miami School of Law Philip E. Heckerling Institute on Estate Planning since 1999, Mr. Aucutt has also taught as an adjunct professor at the University of Virginia School of Law from 1998 to 2003. He has contributed multiple articles to scholarly journals, and has served on the board of advisors for the Journal of Taxation of Exempt Organizations, Business Entities, and the Tax Management Estates, Gifts and Trusts Journal. He is also the co-author of Structuring Estate Freezes, published in 1993 and 1997 by Warren, Gorham & Lamont and updated semiannually by Thomson Reuters. Mr. Aucutt has been very active with the Evangelical Free Church of America for many years, serving on their board of directors and as moderator. He has been active with Trinity International University, the University of Minnesota Law School and other organizations. A member of several professional organizations during his career, Mr. Aucutt has been an elected fellow of The American College of Trust and Estate Counsel (ACTEC) since 1988 and its president in 2003-2004, an elected academician of the International Academy of Estate and Trust Law since 1993 and a member of its council in 2001-2004 and a member of the Section of Taxation of the American Bar Association since 1976 and its vice chair for committee operations in 1998-2000. Mr. Aucutt is also a member of the American College of Tax Counsel, the American Bar Foundation, and the Christian Legal Society. Mr. Aucutt was originally inspired by his uncle, John Lommen, an attorney and cofounder of the Lommen Abdo firm in Minneapolis, and he would often talk to his uncle about the law when he was young. He went on to receive his undergraduate degree in 1967 and his Doctor of Jurisprudence degree in 1975, both from the University of Minnesota. Between his first and second years of law school, he served in the United States Navy, including service in Vietnam. Mr. Aucutt has been admitted to practice law in Minnesota, the District of Columbia, Virginia and Texas, and is admitted to practice before the Supreme Court of the United States, the United States Tax Court, the United States District Courts for the District of Columbia and the Eastern District of Virginia, the United States Claims Court and the United States Courts of Appeals for the District of Columbia Circuit, the Federal Circuit and the Fourth Circuit. Mr. Aucutt has been showcased in more than 75 editions of Who's Who, including Who's Who in America, Who's Who in American Law and Who' s Who in the World. In recognition of outstanding contributions to his profession and the Marquis Who's Who community, Ronald David Aucutt, Esq., has been featured on the Albert Nelson Marquis Lifetime Achievement website. Please visit www.ltachievers.com for more information about this honor.